Cost: $500 (no book). Books for sale at class or ahead of time. Ride along with Craig and learn. The passenger seat is for sale. If you want to keep up with the changing world of hybrids and EV (Electric Vehicles) this class is for you. This is a very popular class and is a great starting point for today’s technicians. 16 hours (All day Saturday, Sunday 1 to 5 and Monday night 6 to 10) or any other configuration. This class that covers the basics and more. Lots of parts to work with are brought into the classroom. Become an ACDC Qualified Tech with this class plus one more, conditions apply. This is one of our most popular classes and can be done on the road. Craig Van Batenburg owns ACDC, an EV / Hybrid technical training company he founded in 1999, the year he bought his first hybrid car. He has loading up one of the 12 Hybrids or EVs and is heading out to see you in person. Craig’s background is an auto technician for over 45 years and shop owner for 25 of that. This is NOT a SAFETY Class. 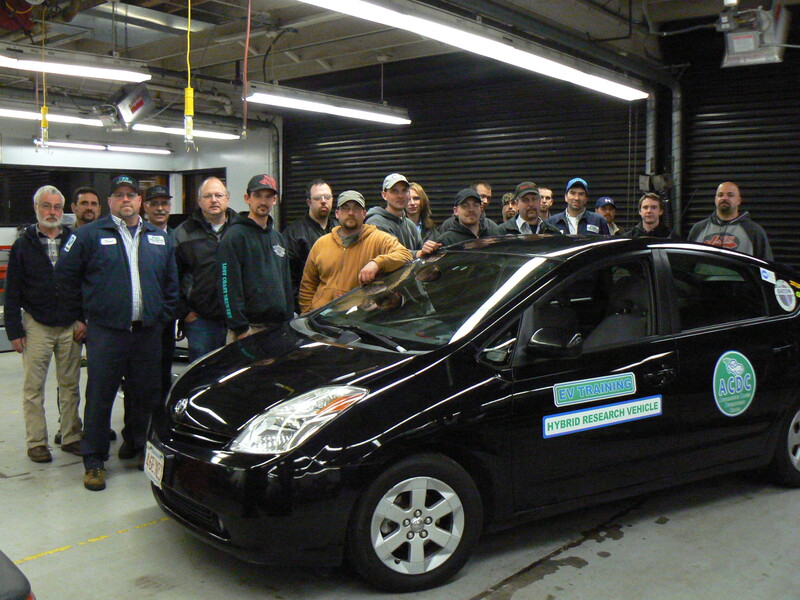 This is advanced Hybrid / EV Training on all makes and models. If you need a head start in order to be at the level of understanding so that you get the most out of this class, you can buy one of both of the ACDC hybrid / EV books so you can study before class. Just tell us when you sign up that you want to upgrade. The office can be reached at 508 826 4546. This class is designed to keep you up to date on the latest design changes, new hybrids and EV’s that have come to market recently, the latest scan tools and most importantly Craig will fill any gaps you may have in your EV / Hybrid knowledge base. Plenty of time for Q & A. Seats are limited so this will be a good learning environment. Hybrid A/C systems..what oils work, how to fix it without replacing everything! This is Greg Burke had to say about our class ” I enjoyed your class very much yesterday. I have had a fair amount of hybrid training previously and it has always been on the theoretical level. We also offer a money back guarantee. If you feel this is the wrong class for you just let Craig know within the first two hours, hand in your workbook and a full refund will be made. If money is tight we will bill you in two installments on your credit card (Visa. MasterCard or Discover). ACDC wants to help you compete with dealerships. A certificate of completion is mailed to you after class if you send us your info via E mail. Don’t let your best customers leave your shop because you can’t fix and service their new Hybrid. 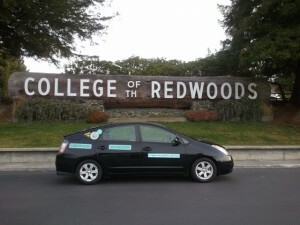 There are over 5,500,000 hybrids and plug-ins in the US .